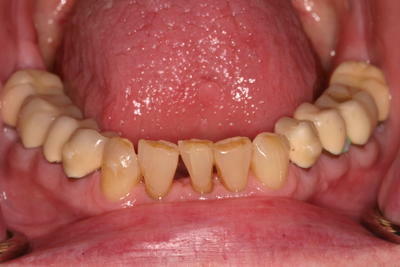 One of our first patients to complete Invisalign was in their mid 70’s. They had lost a tooth due to natural cause and wanted the gap closed, but did not want the expense or hassle of a dental implant. 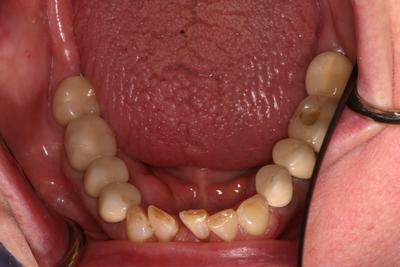 Invisalign was an excellent option to close the gap naturally and non-invasively. 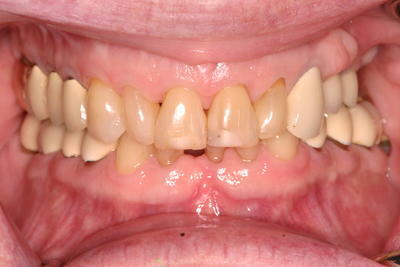 Treatment took approximately 7 months to complete. Oddly enough, their daughter (in her mid-40’s) was undergoing Invisalign treatment from a different provider. In a random occurrence, they both discovered this fact about one another at the same time during the course of a conversation 3-4 months into treatment! Even though they were parent/child and undergoing the same treatment, neither one had a clue about the other. 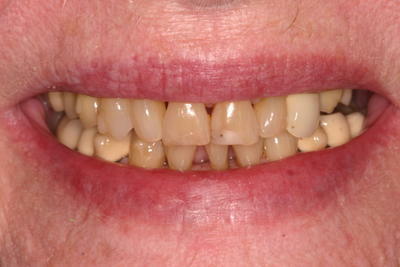 That is a testament to how virtually invisible Invisalign truly is! 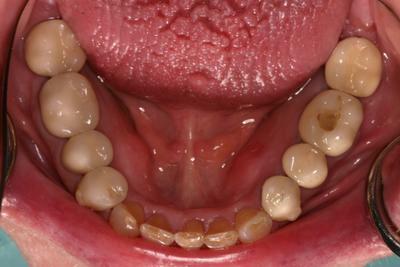 Note: The “bumps” on some of the teeth seen in the last photo are actually what is called “attachments”. These are typical in an Invisalign case and are what provides the torque to the teeth from the aligner for rotation and movement. These implements are more noticeable in other photos found in the Invisalign gallery.